The embodiment of fall in the deep forest. 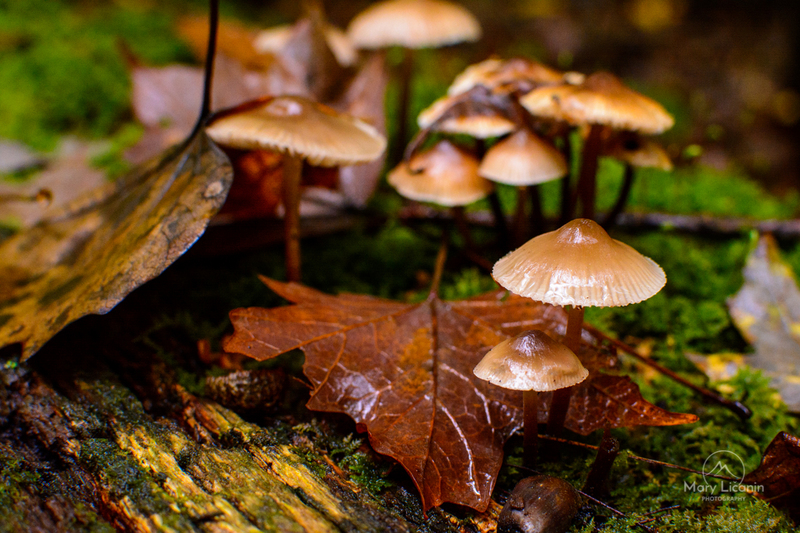 These mushrooms were growing on a fallen tree covered in moss, and blanketed with fallen leaves from the tree above that let some rain pass between its canopy. Like a miniature autumn fairy village, this hidden forest scene is both warm and magical. Fallen leaves blanket a moss covered log that serves as the foundation for mini mushroom fairy houses.